Type M for Murder: On Nurturing Delicate Flowers. And then there’s me. On Nurturing Delicate Flowers. And then there’s me. As many of you know I am a great fan of the modern Gothic novel. I am reading one right now by an author I have followed for a long time, Carol Goodman. 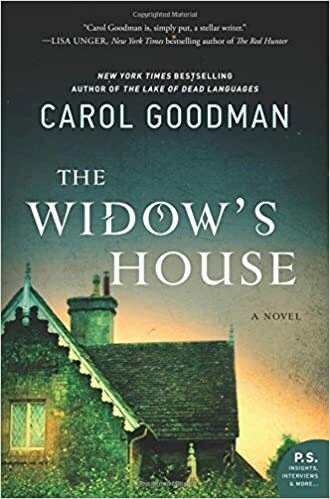 The book is entitled The Widow’s House. I am enjoying it very much, but what prompted me to write about it today is Goodman’s portrait of the main characters: a ‘writing couple’ and their famous author/professor. I won’t get into (today anyway) that the female half of the ‘writing couple’ has seen her extremely promising career destroyed by the less talented male half. In effect, she has to earn a living, do all the housework, and babysit him so he can ‘write’. The male character is a ‘writer’. He writes. And OMG what a chore it is. He needs a proper night’s sleep or the next day’s writing is ruined. He has to have complete silence in the house, or he can’t write. He turns off his cell phone because any interruptions would destroy his concentration. He has suffered from writers block; at one time he burned his entire MS, but now he is inspired again and writing furiously. And everyone, especially the wife, tip-toes around him. She, now that she is also feeling inspired to begin writing again, isn’t a whole lot better. She talks, constantly, about her “idea” to everyone who will listen. And I am sure to many who don’t want to. Much talking about the “idea” ensues. 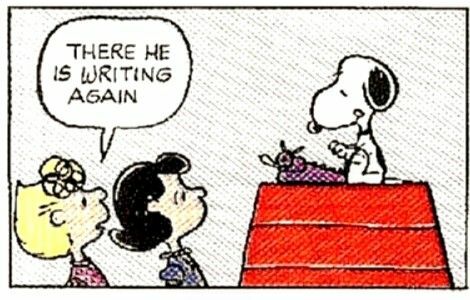 Remarkably little writing is actually done. Frankly, I want to say, get the heck on with it, will you? To the both of them. Geeze, get over yourself. It’s your job, do it. Now, I know we lowly genre writers aren’t in the same class as the great men and women of English Literature. As they see themselves anyway. But do “literary” writers really act like that? Do they really think they are soooooo special? Such delicate flowers in need of constant reassurance and nurturing? One of the best pieces of advice I ever got was in a creative writing class. The teacher said: Plumbers don’t get plumber’s block. If you are a writer, then write. It’s your job, so do it. But what do I know. I’ve never been in the “deep stage”. I just write books people seem to want to read. 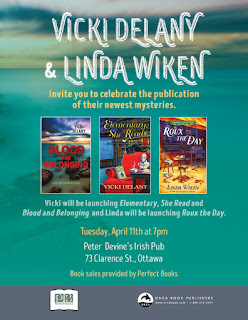 Speaking of which, I will be in Ottawa tomorrow (Tuesday April 11) for a joint book launch with Linda Wiken. 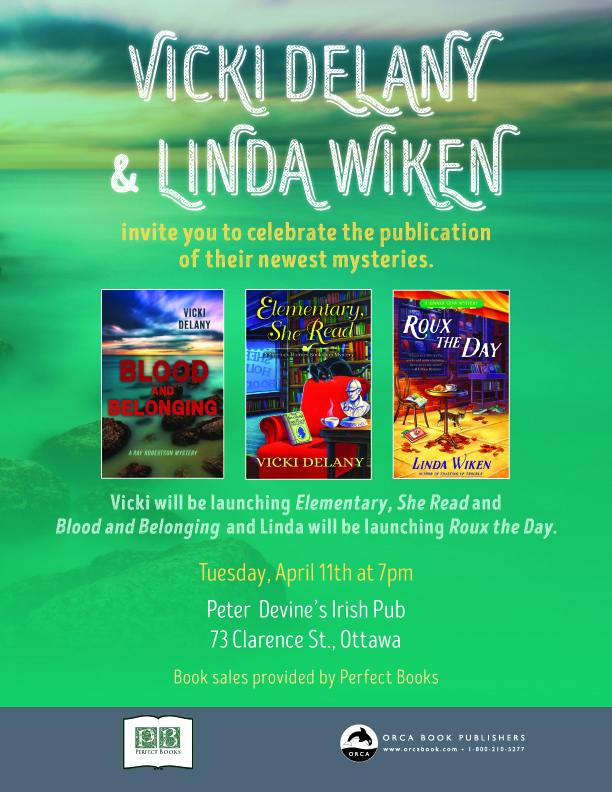 Come out and celebrate with us. Peter Devine Pub, Clarence Street in the Byward Market. I love the plumber's block line and resolve to steal it forthwith. It's absolutely true that one just has to get on with it. And no one could accuse you of not getting on with it, Vicki. Or if they do, it's made of hair and grease and bits of food, and they snake it out in half no time. What Sort of Reader Are You? Could this mean the end of crime fiction?